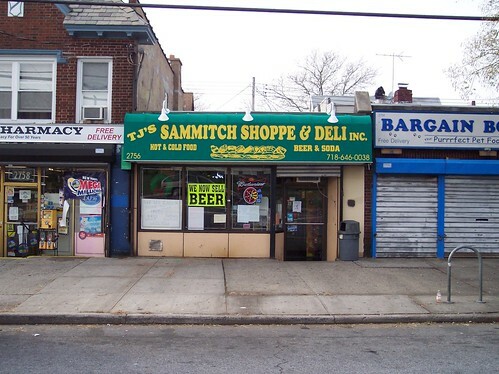 TJ’s Sammitch Shoppe & Deli will be changing owners soon. According to the ad the owner must sell it due to health reasons. Whoever buys it I hope they get rid of all the roaches, gut and fix it up right. It could be a really nice place. That place wasn’t clean at all. The only thing I would go in there for was a pack of gum or a bag of chips. What they should do is expand the pharmacy,instead of putting a new deli there. If you had nothing nice to say the least you could have done was had the courage to own up to it by using your name. The food was delicious and the owner a great guy. Get well!